This beautiful pic was clicked from a maggie point on Dehradun-Mussoorie road. 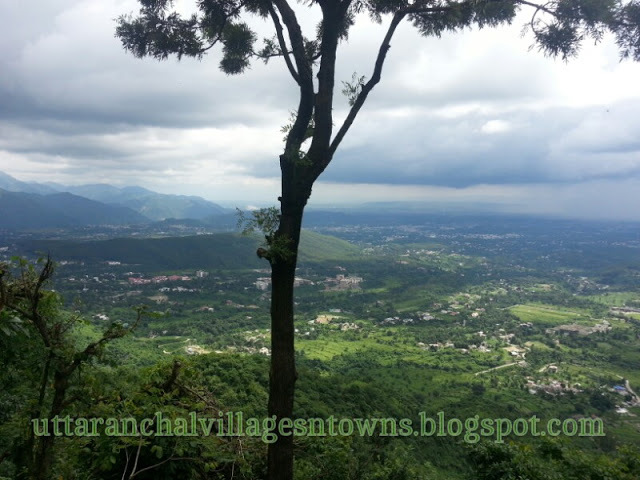 The view of Dehradun city from here was fantastic. The maggie point from where this pic was clicked is also located at a very beautiful location (approx 10 kms before Mussoorie). Enjoying a cup of tea, with hot maggie and with the awesome view of Dehradun valley is a perfect combination. 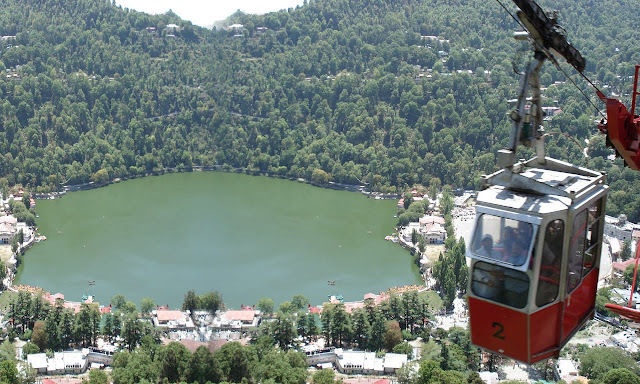 More than Mussoorie, I always enjoyed the bike ride on Dehradun-Mussoorie, and the various food points. These days there are many small waterfalls have originated on Doon-Mussoorie road beautifying the ride more. So enjoy a ride on Doon-Mussorrie road but yes keep an eye on weather. If its raining heavily please avoid.